Do you have a Flickr account? We hear a lot of buzz these days about how many photos are being uploaded to Facebook on a daily basis, but people sometimes forget about Flickr, which is still going strong after all these years. Back in September, in fact, Flickr announced their 5 billionth photo being uploaded, which is no small feat. So what if you want to look at or locate some of that photographic treasure? There are some great Flickr search engines out there. Ann pointed out 16 Flickr Search Tools That Are Fun to Use 16 Flickr Search Tools That Are Fun to Use Read More 16 of them a few years back, and now I’m here to show you the best of the best. 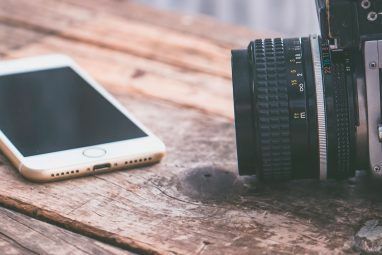 If you’re looking for a high quality photo for a project, article, website, or you’re just bored, these websites can help you find what you want. Compfight is a personal favorite among MUO writers. It’s a simple website both in form and function, and it works very well. With Compfight, type in your search query and you can select whether you want to search for that word in the tags of photos or their text descriptions. You can also opt to look through Creative Commons 3 Tips For Getting More Out Of Creative Commons 3 Tips For Getting More Out Of Creative Commons Read More images, which is important How To Search & Credit Properly-Licensed Photos On Flickr [Firefox] How To Search & Credit Properly-Licensed Photos On Flickr [Firefox] Read More if you’re looking to use a photo for a project. Thumbnails of images will populate after you search and all you have to do is click on one to open up its corresponding Flickr page. Tag Galaxy probably could’ve been the worst Flickr search engine in existence and I still would’ve included it on this list simply because of how cool it is. Just type in your tag on the homepage and click Go to be taken to a search page showing what appear to be planets. Clicking on the different planets will allow you to drill down your search to a specific tag. For example, I originally searched for the word ‘technology’ and planets named ‘computer’, ‘phone’, ‘laptop’, and ‘ipod’ showed up. Click the tag that most describes what you’re looking for and you will be taken to a 3D spherical image displaying all of the photos associated with that tag. You can spin the sphere by dragging it and click on individual photos to see them zoomed in. Very cool. Flickriver is another simple Flickr search engine. 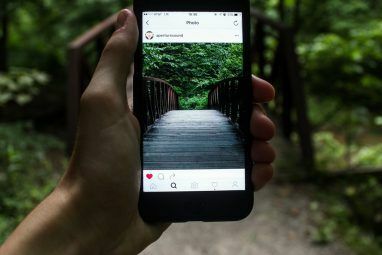 You can search photos, groups, users, tags, and even places, and photos are displayed vertically on the page according to relevance, most recent, or most interesting. You can also set the size at which photos are displayed on the page. PictureSandbox isn’t one of the prettier sites on this list, but it is still very effective. 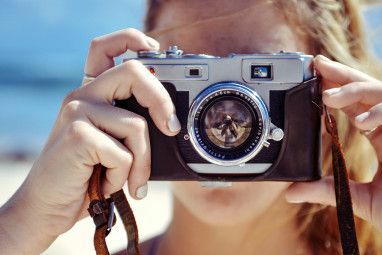 Just type in your search on the homepage and click the Submit button to view photos on not only Flickr, but Stockxpert, Fotolia, Dreamstime, SmugMug, and Webshots as well. If you can’t find the photo you’re looking for on this site, chances are it doesn’t exist. FlickrStorm is a very minimalistic photo search site. Like the others on this list, you simply type your search query into the box on the homepage to begin your search. There’s an “advanced” link that you can click if you would like to search for Creative Commons photos that you can use commercially. With FlickrStorm, you can also view your history of the photos you’ve clicked on, as well as a tray that you can add photos to and download them from. I decided to give an honorable mention to Adobe’s Flickr Flipper application. It’s an application that runs on Adobe Air and it’s pretty lightweight. If you’re looking to flip through random Flickr photos because you’re either bored or not sure exactly what you’re looking for, you should give Flickr Flipper a try. 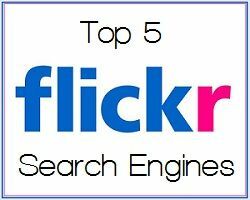 If you’re looking for more photos, you should also check out Saikat’s article on 5 Good Image Search Engines Apart From Google Image Search 5 Good Image Search Engines Apart From Google Image Search 5 Good Image Search Engines Apart From Google Image Search Read More . What’s your favorite way to view Flickr photos? Explore more about: Flickr, Image Search, Photography, Web Search. www.bahoogle.co.cc is pretty cool, you can search google, yahoo, bing and ask all at the same time, give it a try. Wow This is great. got to try it now! Same with me and Compfight I think. Thanks for commenting!